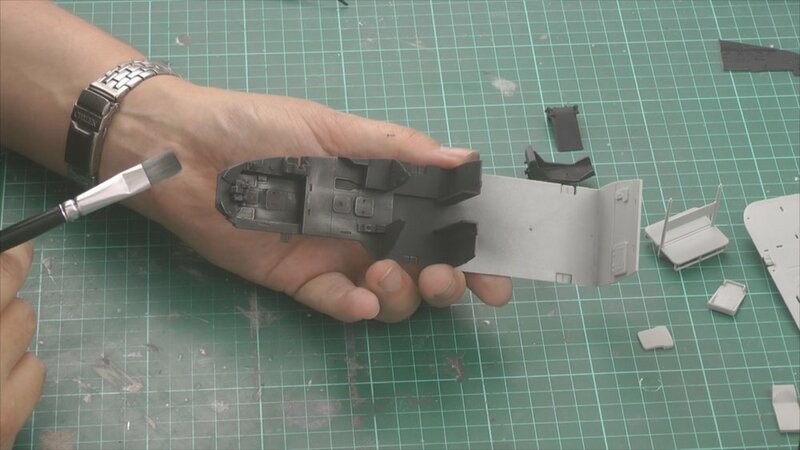 In part two we carry on with the Photo Etched work in the cockpit and then start on the rear cabin. 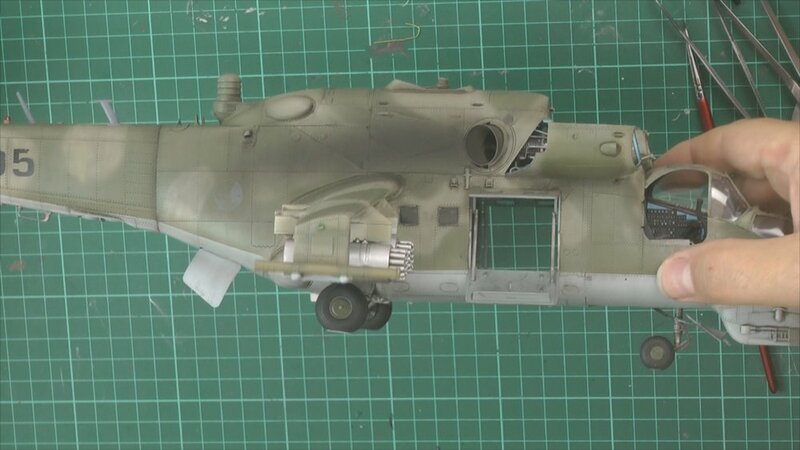 In Part Four we look the chipping the weather the cargo area. In Part Five we finish off the engines and install them and then look in detail at the Photo Etched cabin. 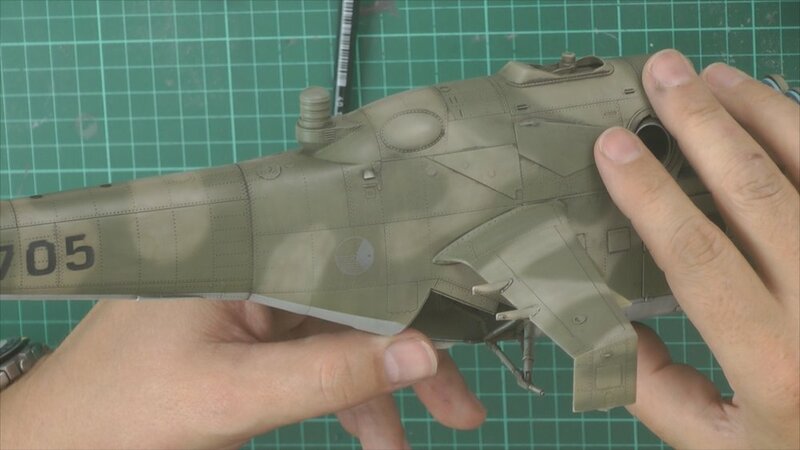 In Part 6 we bring it together and finish off the main body of the Hind and then take care of the centre seam of the canopy. 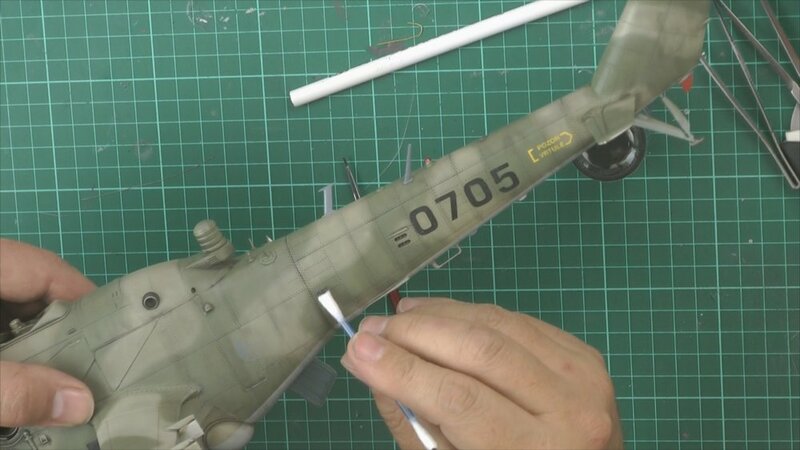 In part 7 we look at installing the photo-etched set and the fit the canopy and check the seams before we start on the primer coat. 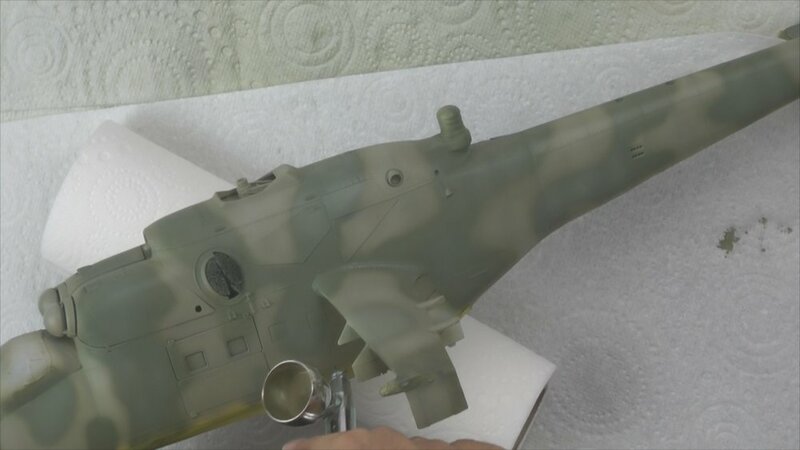 In part eight we move on with the primer and the pre-shading before we put down the Haze blue bottom colour with Akan paints. 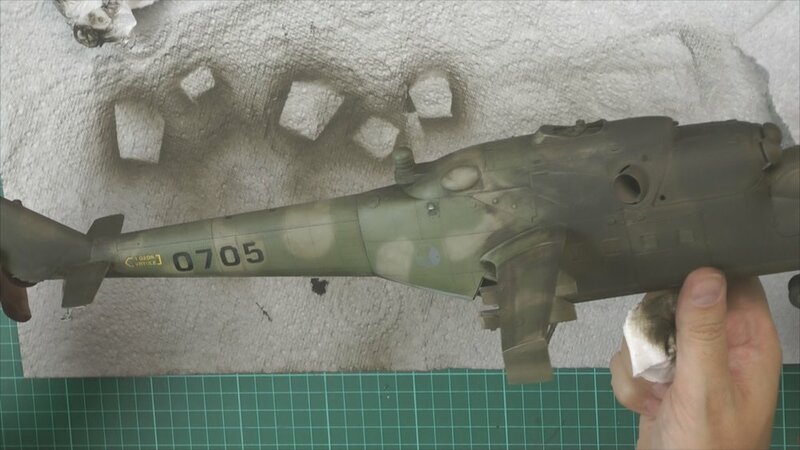 In Part nine we mask up the lower side and the start work on the camo work and fading and bleaching as we go. 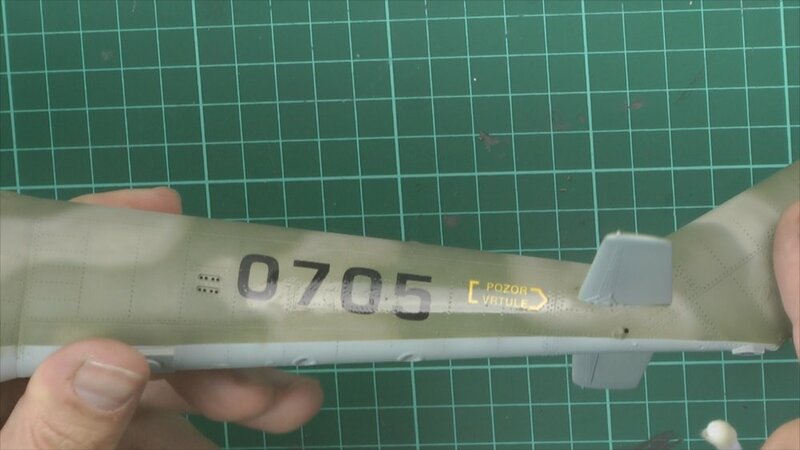 In part eleven we move on with the weathering by first removing the carrier film from the decals and weather them in before airbrushing the wash on. 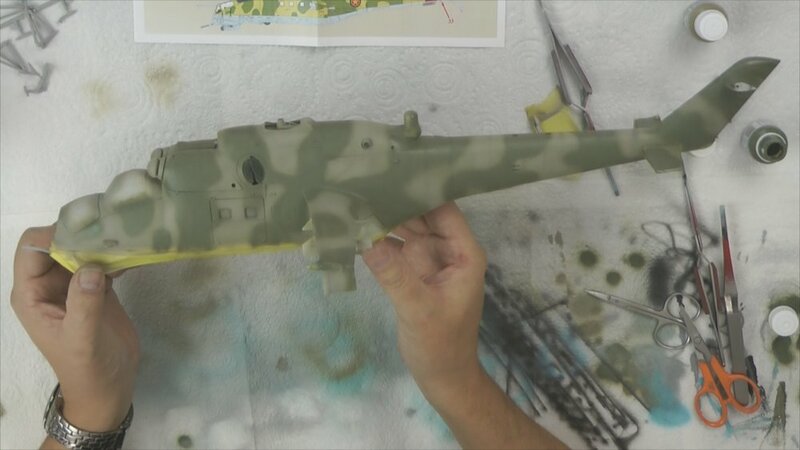 In part 12 we finish of the weathering with dry brushing and then rubbing all over with airbrush cleaner to blend the paintwork and weathering together. We then flatten off the wheels.